This beautiful home is set on a .8 acre private cul-de-sac lot tucked in Via De Caballos subdivision of the Cactus corridor area. Beautiful curb appeal as your drive up with side vehicle entry garage and manicured landscaping will invite you into a ranch style single-level plan with an open floor plan, island kitchen offering plenty of storage and breakfast area, and extra large great room. With 4 bedrooms plus den the floor plan offers the flexibility for everyday living or entertaining guests. 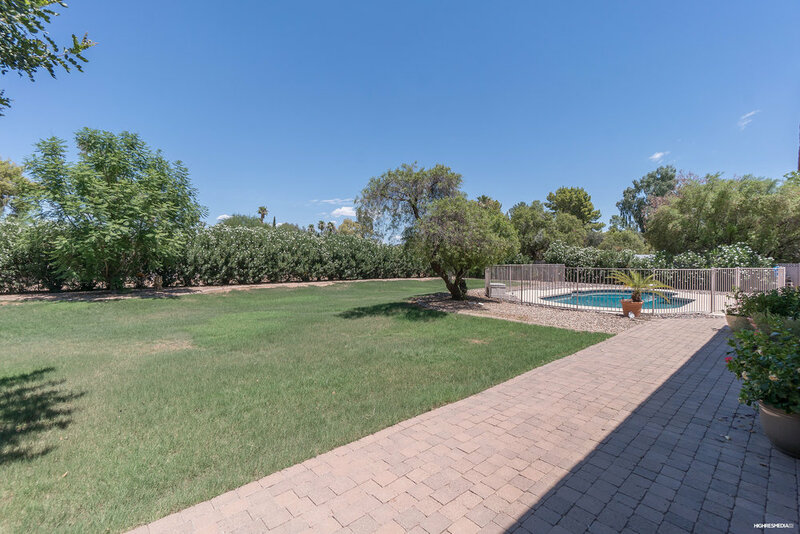 The spacious backyard oasis offers a large pool with diving board, pavered covered patio, mature landscaping, grassy play area and plenty of room to expand with a guest house, sport court and so much more!